•OAT PANCAKE made with the whole grain oat is healthier than white flour pancake. 3. Take a creative picture showing you and your Oat Pancake and the can of Peak evaporated milk. 5. The best 3 pictures for this recipe will be chosen . 6. Watch out for the next recipe challenge and you stand a chance to win. 7. Winners can only participate once. 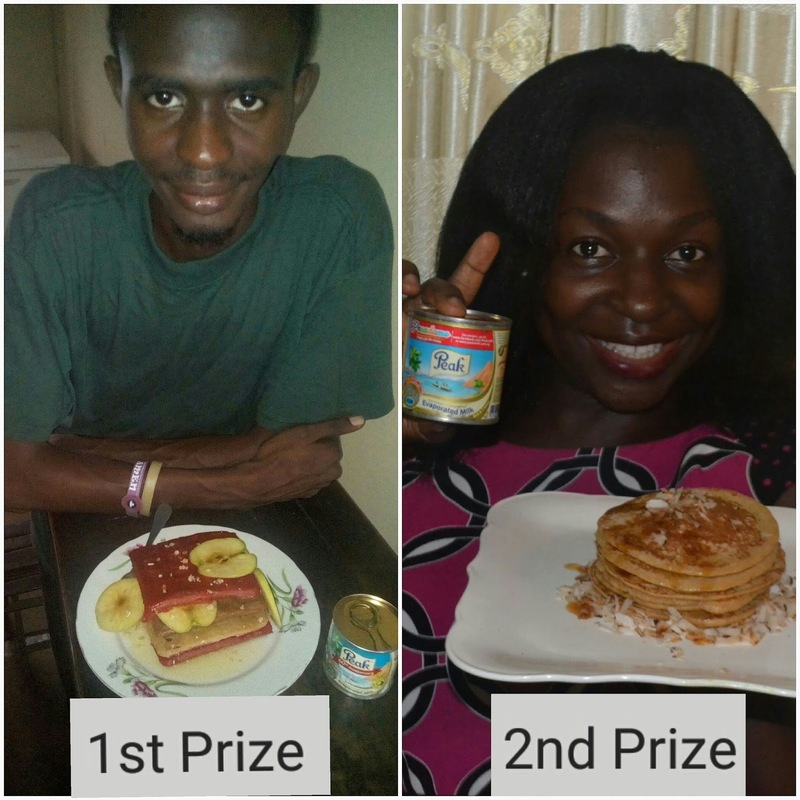 Congratulations to the winners of the Peacadomo recipe challenge @segzyslim & @otabitarfa. Watch out next week for the next @peak_milk challenge. Winners will be contacted by the FrieslandCampina team to collect the prizes. Thanks to all the participants so far. I have sent in my entry. Good day ma, I read the post about the pecadomo for peak milk contest. Pls,I will like to ask,what do they mean by ;take a creative pics showing you and the pancake..does my face need to show along with pancake? Yes it has to show. This is to ensure people don't submit pictures belonging to other people. 1. Have lots of rest. Stress including thinking alot could make you lose weight even more. 3. Have lots of sleep after eating. Oh no! I missed the deadline! I need to be more serious about these contests. All the best to the winners!